Henry Jackson Foundation Medical Research International (HJFMRI) In Support of the U.S. Military HIV Research Program (MHRP) is an international non-governmental organization working in several countries providing care and treatment to people affected by HIV/AIDS and conducting research studies and has been actively involved in HIV and AIDS programming for over 30 years. HJFMRI implements PEPFAR funded HIV prevention, care, and treatment activities in the Southern Highlands, providing resources, personnel and, personnel and services to the Zone. The program has expanded from supporting the Mbeya Zonal Referral Hospital in becoming a hub for anti-retroviral treatment in the Southern Highlands zone; to community support through decentralized services, with the overall objective of implementing research, clinical HIV, preventing HIV, prevention, care and treatment services in Mbeya, Rukwa, Katavi, Ruvuma and Songwe regions in the zone. In collaboration with the Ministry of Health, Community Development, Gender, Elderly and Children (MoHCDGEC) and community NGOs, HJFMRNGOs, HJFMRI has been leading a comprehensive HIV and AIDS care and support program in the Southern Highlands of Tanzania since 2004. The program, which is sub-contracting with Regional Health Management Teams (RHMTs) and 14 community outreach partners, extends to 25 district councils in the five regions. Collectively, the zone, which has one of the highest HIV prevalence rates in Tanzania, represents a catchment area with close to 6 million people (13% of the population of Tanzania mainland). Despite remarkable achievements made over the past ten years, the expansion of HIV care and treatment interventions remains critical both at the facility as well as the community level. The Information Technology Service Desk Officer reports to the IT Manager and provides user support on HJFMRI-Tanzania computer applications and platforms. Troubleshoot reported problems or escalate for urgent attention or advice on the appropriate cause of action. 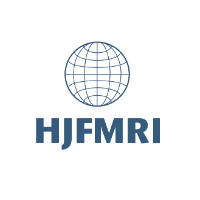 Maintains a thorough knowledge of the organization and adheres to al HJFMRI organizational standards. Assist to Complete Knowledge of Designing and documenting databases with Data Modeling.